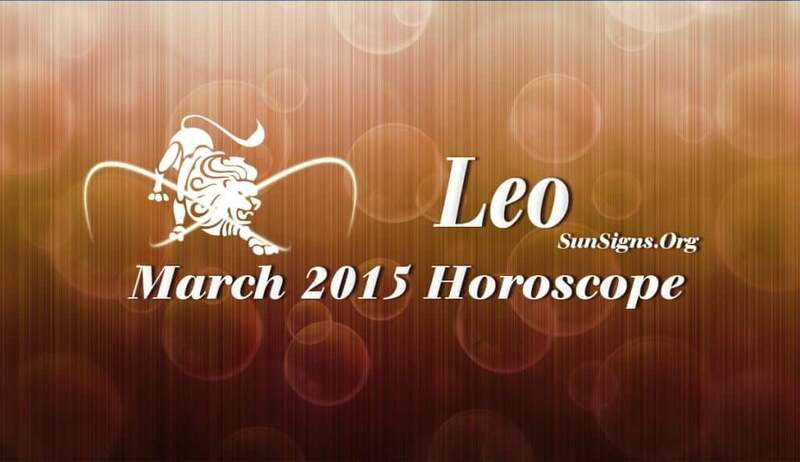 March 2015 Leo Monthly Horoscope foretells that job, business and personal achievements are in focus this month. Family, love relationships and domestic concerns will be dormant. Movement of the planets in your birth chart point to rapid progress in personal life. It is important for you to seek advice and help of your friends and social contacts to achieve your goals. You have to adapt to situations and other people in March 2015. The Lions will have to hold back their aggression for the present. The Leo March 2015 astrology predictions for career forecast that the professional environment will be encouraging. You will see results of your hard work in the near future. Try to develop harmonious relationships with your colleagues and superiors at your job or business. The financial horoscope for the Leo zodiac sign predicts that March 2015 will be a splendid month for your finances. You will see money pouring in from all sources including your foreign interests. Excess money should be used to clear old loans. This is a good month to dabble in speculative investments. Love relationships for the Lions in March 2015 will see major changes. It will be tempered by spirituality. You and your spouse and will take interest in each other’s monetary affairs. Singles will have many opportunities to get into romantic partnerships. The Leo horoscope for March 2015 predicts that your overall health will be much better during the month compared to earlier months. There will be plenty of vitality and happiness. Being cheerful is the secret to being successful.